It’s bedtime for these adventurers – but bear has stayed up to be sure the goods are exchanged. April 2017: The original was featured at Art Revolution Taipei 2017 Juried Art Show. Camping, the night breeze, the moon, “It was a dark and stormy night…” lol. Sweet dreams little bear! What can I say other than….it’s a MOON SLIDE. 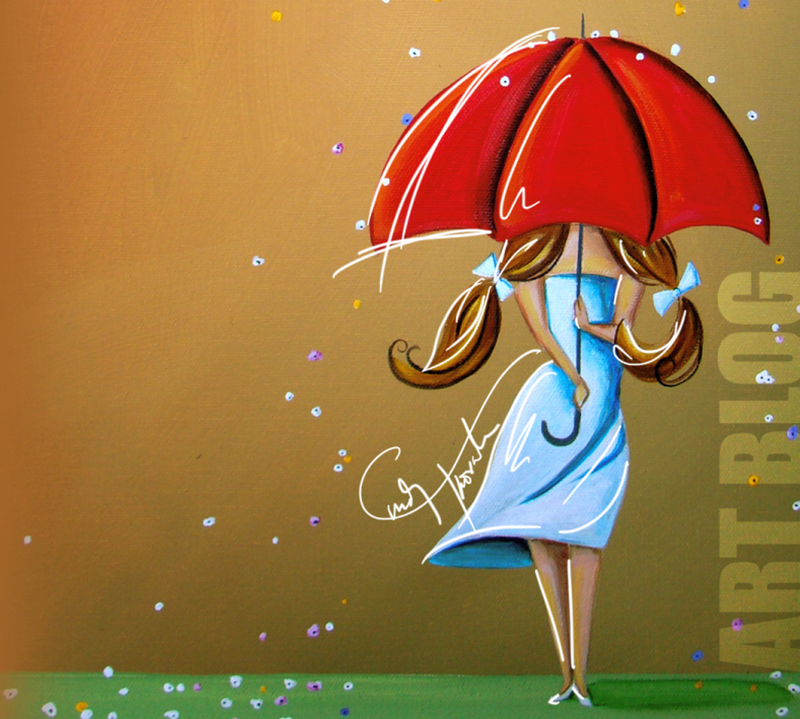 16×40″ original acrylic on stretched canvas painting. Price $1900. This piece was featured at my summer 2016 art show in Beverly Hills, CA at GP Deva gallery. Part of my ‘Dreamers’ series – an elephant, bird, girl, and a bunch of party balloons. The original has sold, but I’ve made it available in print here!